My 2 friends and I stayed at this villa during our short break in Bali. First the check in was seamless. Although the published time was 2pm they were able to check us in earlier. The villa manager, Dovi, had the place ready when we got there and was extremely helpful with food and tour tips. The premises were in prestine condition. Place well kept and everything was in good working condition. And of course the pool was just fantastic. Although we did not see a room service menu (didnt affect us much given the eateries in close proximity) as mentioned we did the receive the spa menu. The services were reasonably priced and they were prompt. We did suffer a blackout due to external reasons but the response time from both Dovi and Wayan was superb and they helped us get the power back on in no time at all! Well the only down side were the bathrooms could have been better but then again that's not a place one would spend most of the time in!! Wayan, the driver, was equally helpful with our travel arrangements. He got his nephew to drive us out to Uluwatu for the Kechak and thereafter to Jimbaran for dinner. Again the charter was reasonably priced, not rushed; in fact plenty of tips for a good photo op. And finally of course Marita, who throughout the booking process as well as responding to some matters after the visit was ever ever so helpful. It was indeed a memorable stay, which made our break one of the best ever to date. Just got back yesterday from 10 days in this Villa. 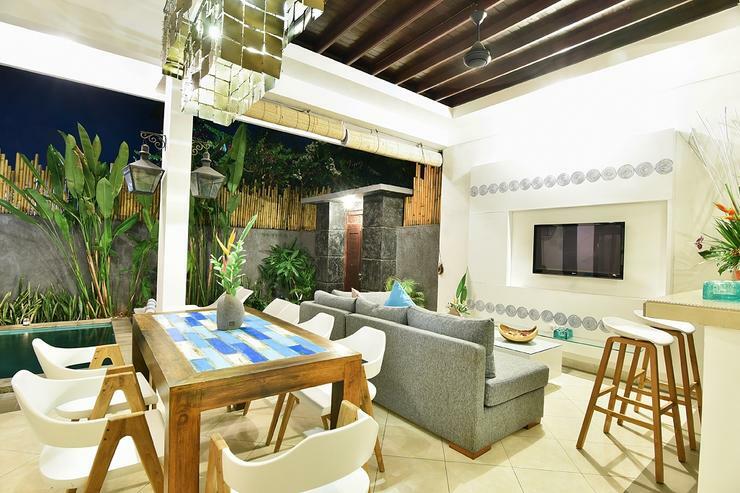 Perfect location, half way between the parties in Kuta and the luxuries of Seminyak. There was 4 of us in the villa all aged 23. It was only a 2 minute scooter ride to the surf in the morning. The maid went above and beyond for us including personally delivering flowers for a friend in another villa on her birthday. Your a 20m walk off the main road so it's quite when you need it to be but for aUS$5 you can get into the thick of things easily in a taxi. First time in asia I've had a comfortable bed. For the price compared to others I will definetly be stayin here again. What can we say, We loved the villa and the location, hidden from the hustle and bustle of the main street. Excellent Pool and facilities as well as friendly staff who went out of there way to help us with everything including hiring bikes and laundry. Loved Bali and the villa so much we are planning on returning in 2014! Villa Oria 2 was a clean, well situated place to stay. A professional pickup from the airport to the villa was organized by the hostess which enabled a quick clean exit from the airport. As soon as we arrived we were met by the main facilitator, who showed us how everything works and explained to us that the only thing that was required by us, was to sit back and relax. 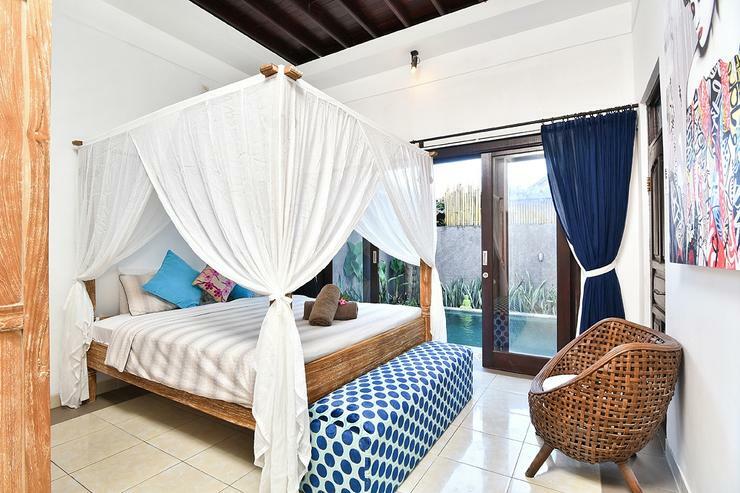 Being first time visitors to Bali, we had our reservations, but they were quickly put to rest by the Villas friendly staff members. We were greeted daily by the Villas cleaners, cooks, and chauffeurs when required. All in all, this place excelled at what we required which was simple... To put our feet up, out of the hustle and bustle of a popular Hotel, and just simply relax. Great job in hosting us Villa Oria 2, we will hopefully be seeing you sooner rather than later. Can only say good things about villa and location from the time we got there until we left we felt safe and comfortable. Arrival was excellent villa driver waiting for us at airport then villa Manager waiting for us with at villa everyone involved made our stay great even down to the security guard on duty at the door each night which was a great feeling on relief in a foreign country with a group of 4 females, daily room service was great and done by a very trustworthy lady nothing was a problem even done our washing for us at a very small fee was excellent not having to bring home dirty clothes in our suitcases. Central location was great walked to everything and had shops close if anything needed extra touch was on our last day having a chef cook us a meal in the villa was excellent. Bonus we also had was the pool as we observed all the resorts shut the pools at night we were able to swim anytime. 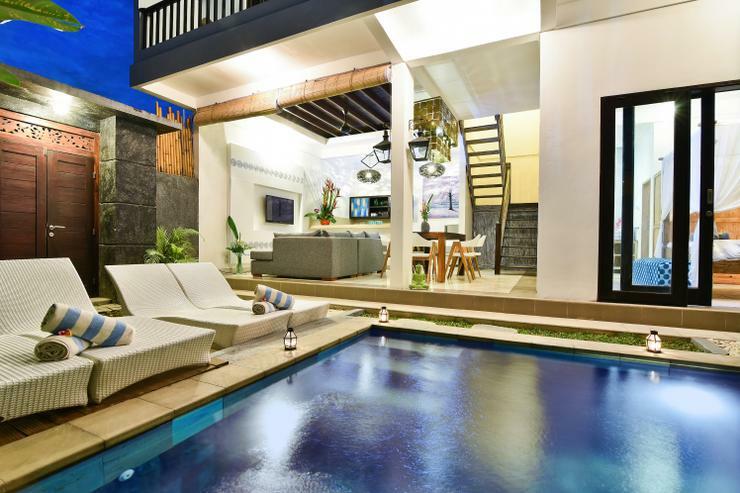 I have and will recommend this villa to anyone going to Bali and will stay on my return. Fabulous stay...perfect location, a gift for everyone!!! Stayed here for 5 nights in dec 2014. 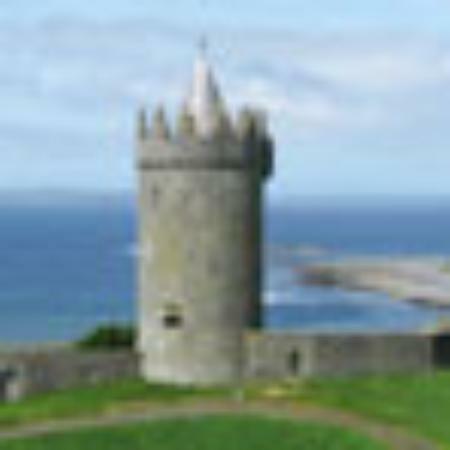 A family of 4 adults and 2 children aged 12 and 14. 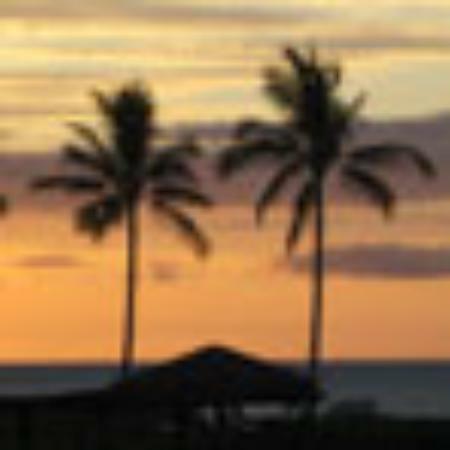 The location is perfect, the beautiful double 6 beach is just a 10 minutes walking downhill. Plus you ll enjoy the shops on the roadsides for some souvenirs shopping. Massage places are in abundance and cheap. For tailor-made suits, check Olga Bali, they re excellent. Just off Padma. 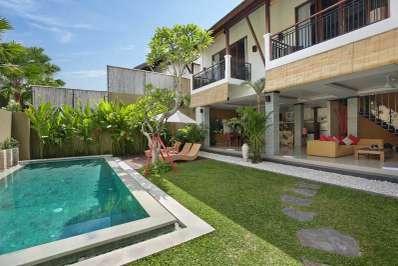 The owner of the villa is very accommodating, and can even recommend you places to go in Bali. Hiring a driver from here only costs us Rp150,000/day and made our 5 day tour such a breeze. What else can i say, it is just a beautiful place at a fantastic location in Bali. Great spot right in the heart of Legian with a Circle K at the end of the lane.. A few minor issues (no upstairs hot water, no phone credit, etc) but all sorted very quickly. 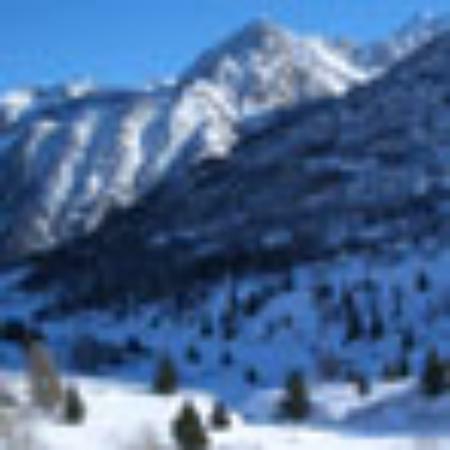 Staff very friendly and communication from time of booking to check out was clear and reliable. A good spot. If I could change one thing? Maybe a few more comfortable chairs, or couches with cushions that stay put. Such a minor thing tho..
A beautiful villa with an amazing location and a fantabulous service. 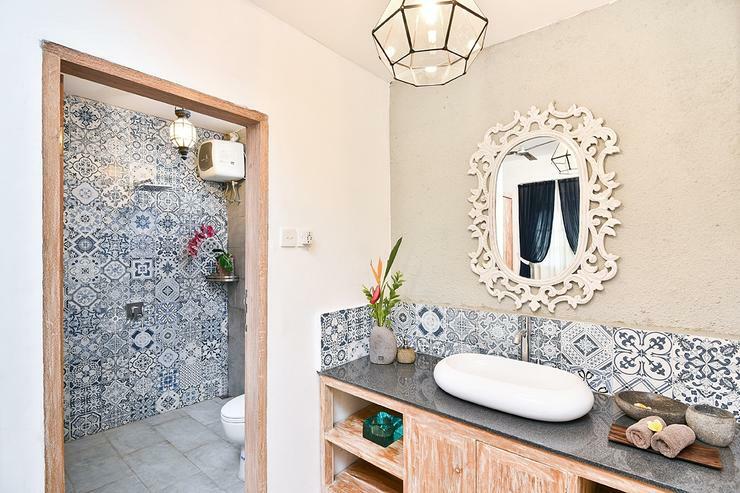 Villa Oria 2 is pretty close to one of the most sought after lanes in Bali with a number of clubs in case you were wondering about the experience, it's going to be one of the best ones. Be it service, amenities or a great time, you're going to have all of it at one place. 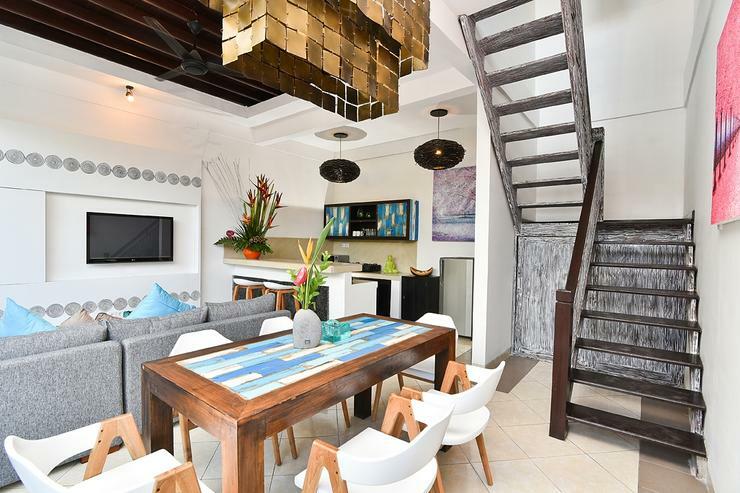 We chose this vila due to the reviews and it did not disappoint. 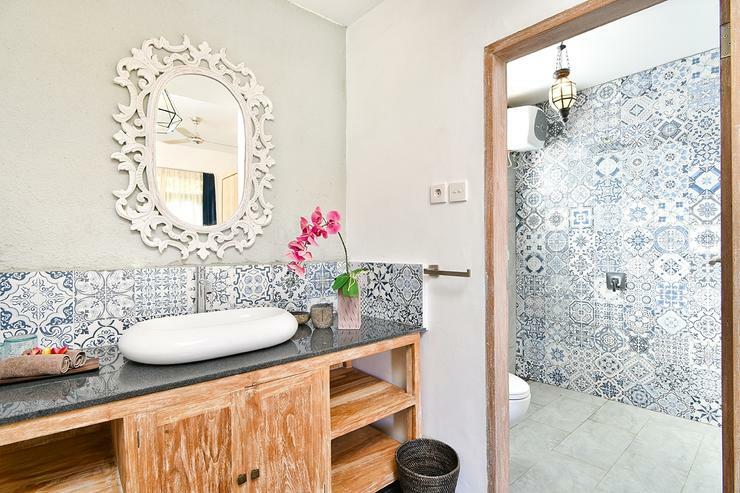 I sent an email query late at night for a 6-night stay commencing the next day and received a reply from Marita the next morning.The pool was very inviting, The Villa is lovely, the room was spacious, super clean Perfect location, We'll visit again! 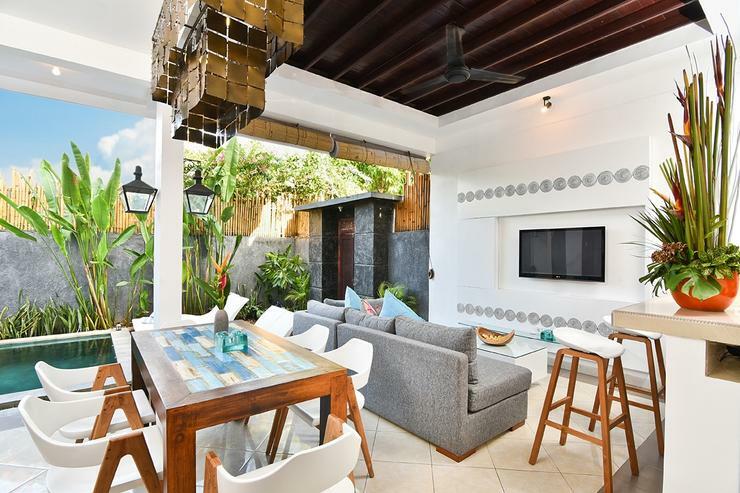 Villa Oria 2 is a 3 bedroom villa is in a fantastic location, just 20m off the main Legian Seminyak strip. You simply walk out the door, and all of Legian and Seminyak’s best shopping is right there for you to enjoy. Double Six beach, being Seminyak’s most popular beach is the closest to you just down the road. * Deposit forfeited - but credited for 9 months from the date of the cancellation confirmation by the management company. The credit can be used by the client or anyone on their behalf for a reservation for the same villa and during any period. * Payments may be made by Telegraphic Transfer to our company bank account or through an online payment gateway with your credit card (visa or master card). * If payment by credit card is preferred this will incur a 3.9% admin fee. Villa Oria 2 is a 3 bedroom villa is in a fantastic location. 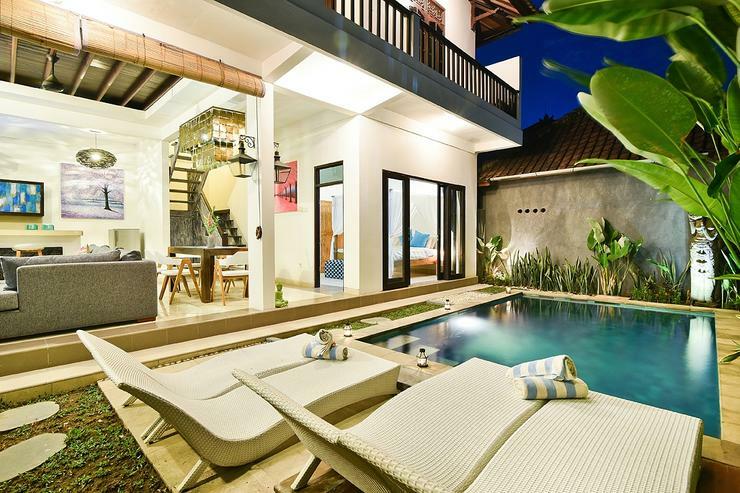 Upon entering the villa, you are greeted with a sunbathing area and swimming pool area. 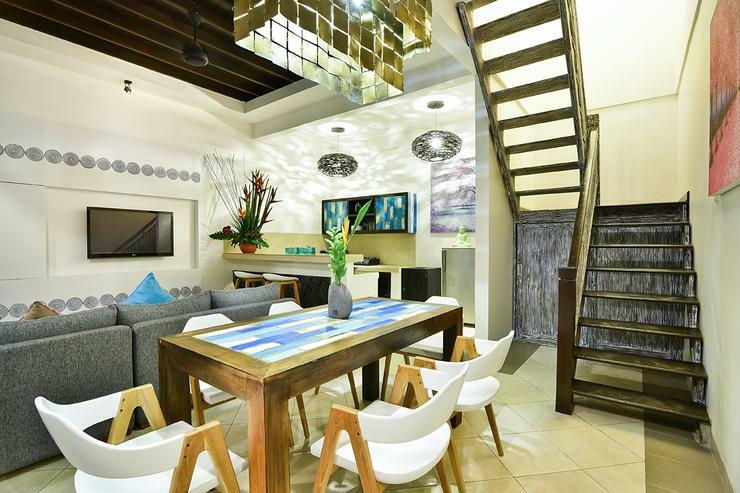 The kitchen is on the lower level, with an open plan dining area for you to enjoy. A music system is located on this level, with a selection of various artists cds for your entertaining pleasure. Flatscreen tv and selection of dvds for your viewing is also free of charge and sofa lounge area. 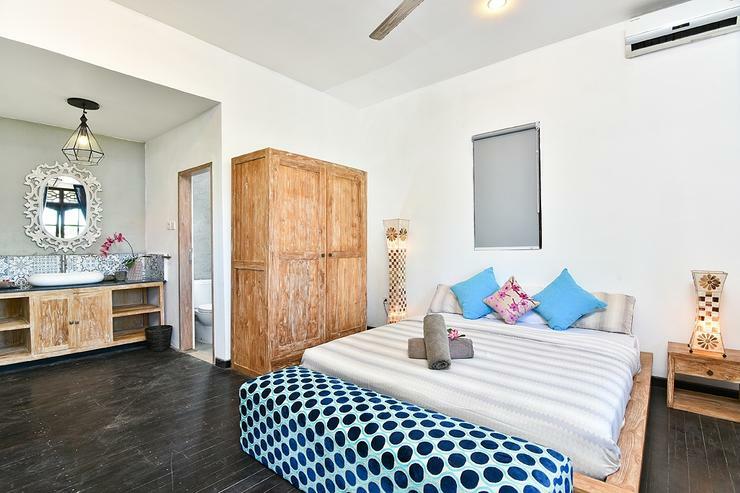 The bedrooms are very spacious, the first on the lower level opens to the pool area and has it’s own ensuite, as do the other bedrooms. 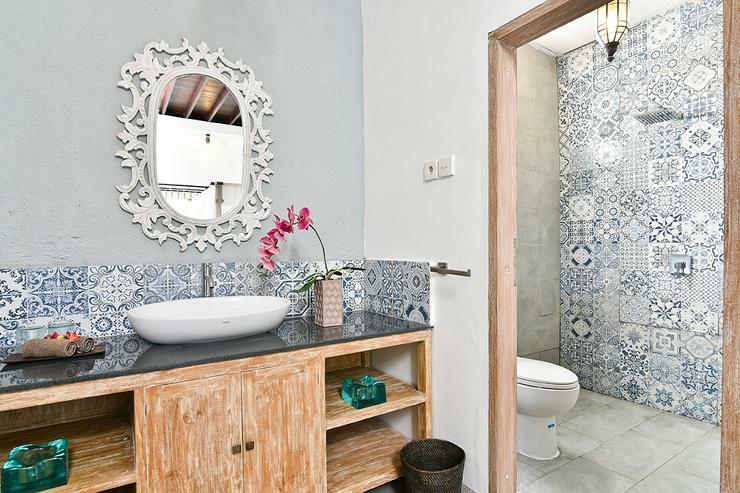 Upstairs you will find the second two bedrooms each bedroom within the villa has been uniquely decorated and has it’s own private ensuite. 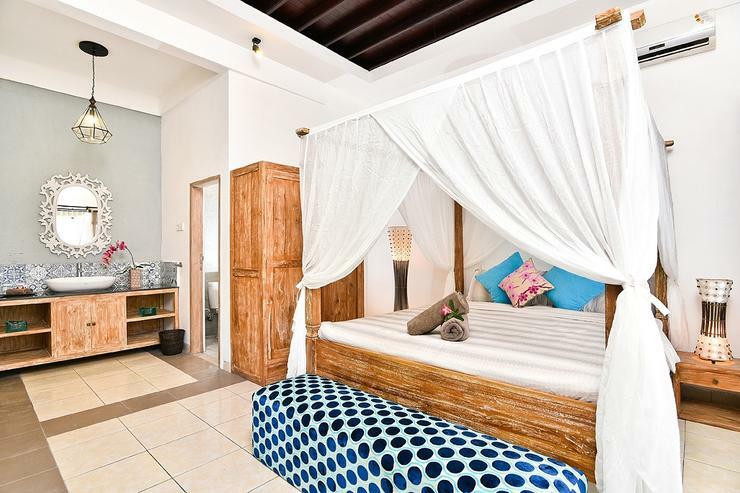 Both bedrooms overlook to the balcony where there is a second area for relaxing with chairs and table. 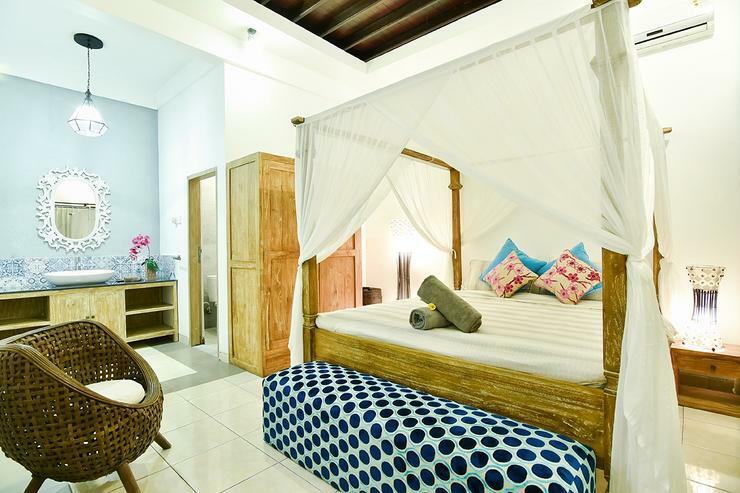 The villa has free wi-fi and we also provide you with a mobile phone with local number to use during your stay. 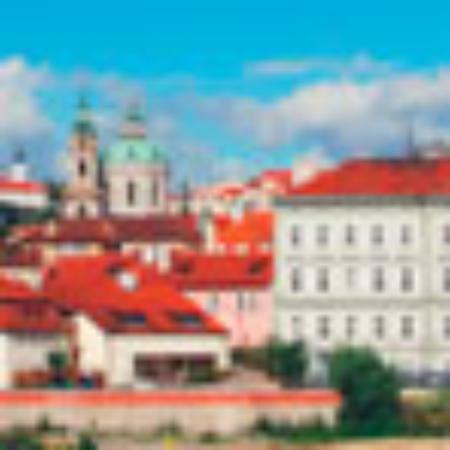 Our obliging and friendly staff are there to assist your every need, ensuring your stay is not only a memorable one, but well informed and hassle free. 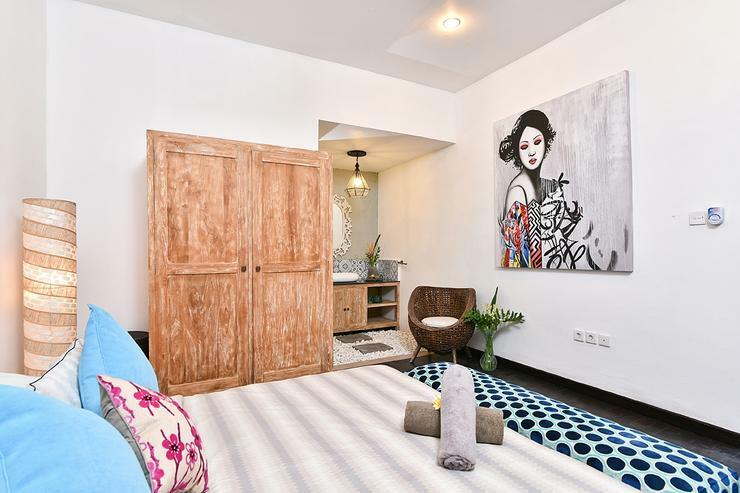 Perfectly situated in Bali’s most sought after area, just a few steps and you will find yourself in the heart of Bali’s most creative hub. The villa is fully staffed, with a professional team looking after your every need, offering you an unforgettable experience. 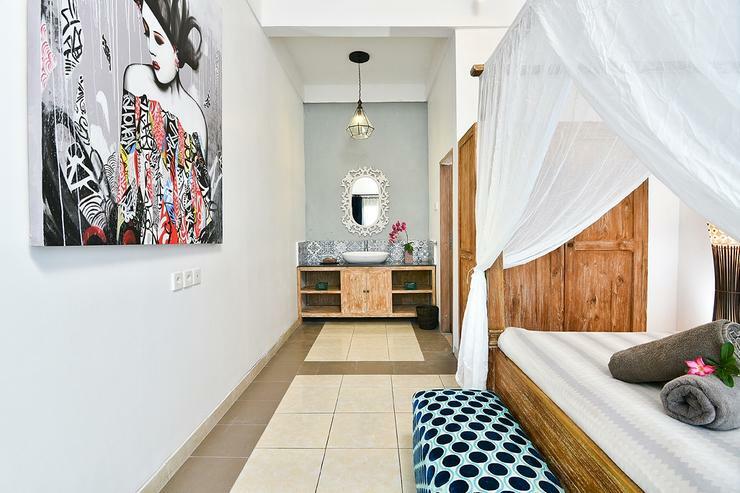 Located in Seminyak, Bali. 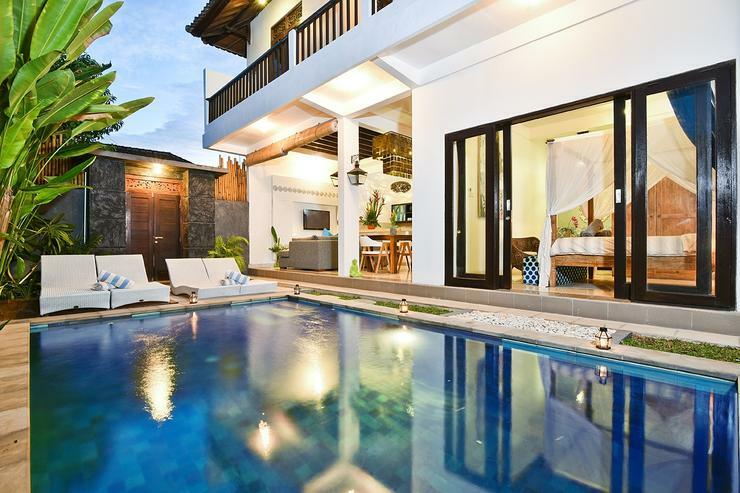 The Kumpi Villa 5 is a in Indonesia. 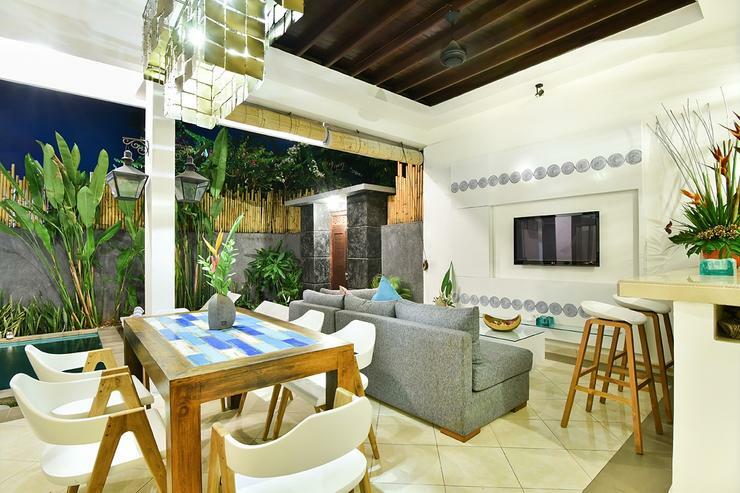 Located in Seminyak, Bali. 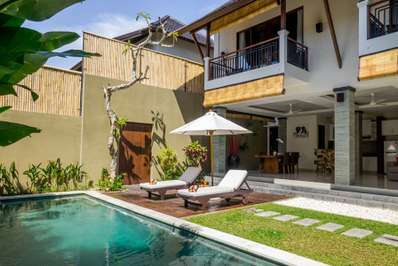 The Kumpi Villa 2 is a in Indonesia. 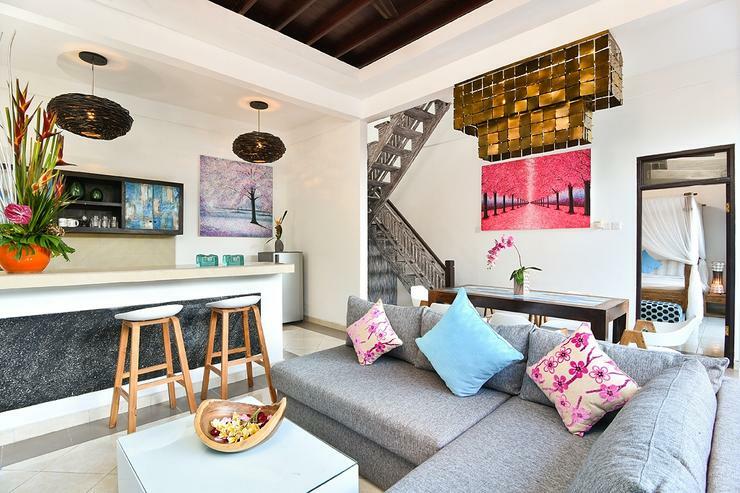 Located in Seminyak, Bali. The Kumpi Villa 3 is a in Indonesia.